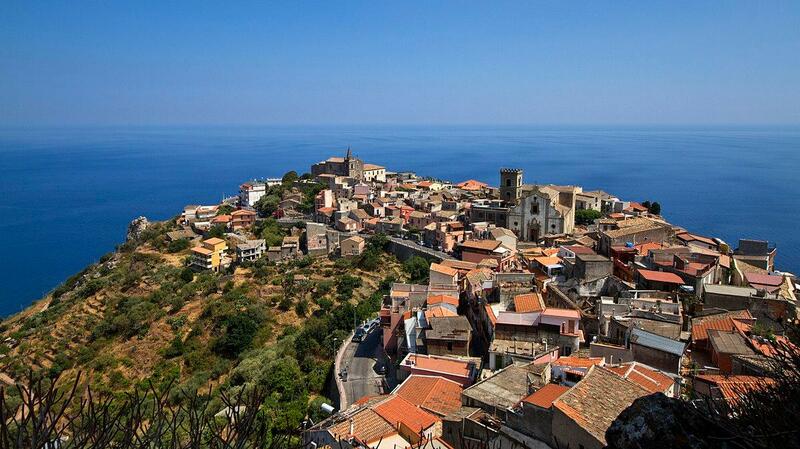 Castelmola (A’Mòla in Sicilian dialect) is one of the most fascinating village of the Ionian coast and one of the most beautiful village of Italy. 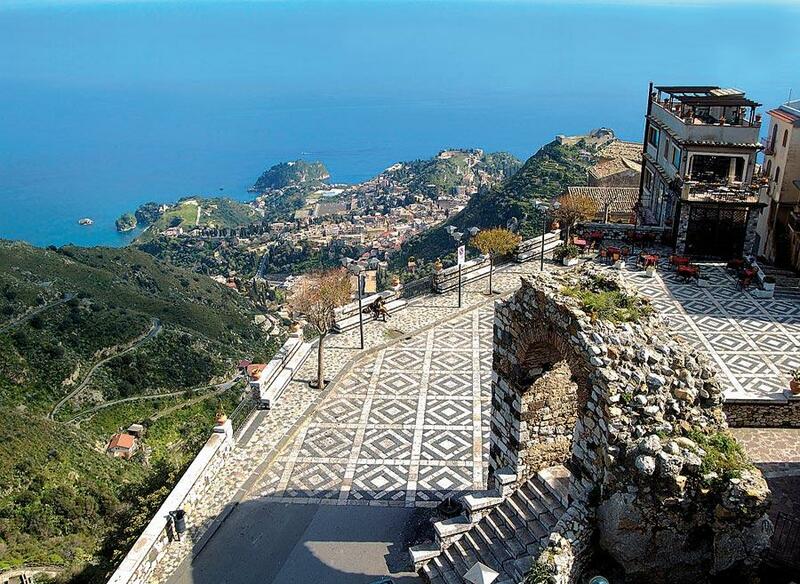 This beautiful town is on top of a summit above the sea, a few kilometres from Taormina and for this reason it has a tourist vocation. The highest point is reached by crossing a path, from the main square of Castelmola, the Sant’Antonio square, up to the ruins of a castle. In the square there is a viewpoint from which is possible to see the Ionian coast, the city of Taormina and the Calabrian coast. This beautiful village on the Ionian coast is located on a hill at an altitude of 420 meters above the sea level. In 1971, the historical centre of Forza d’Agrò was chosen by the film director Francis Ford Coppola as setting for the successful movie “the Godfather” . 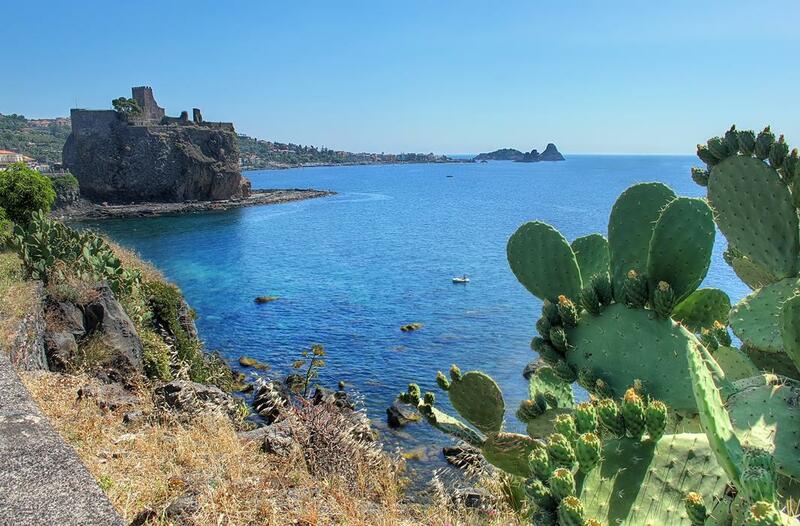 Like a balcony overlooking the sea, from the viewpoint of this charming village is possible to see the coast from Messina to Syracuse, with Taormina and Castelmola, the bay of Giardini Naxos and the massive volcano Etna. 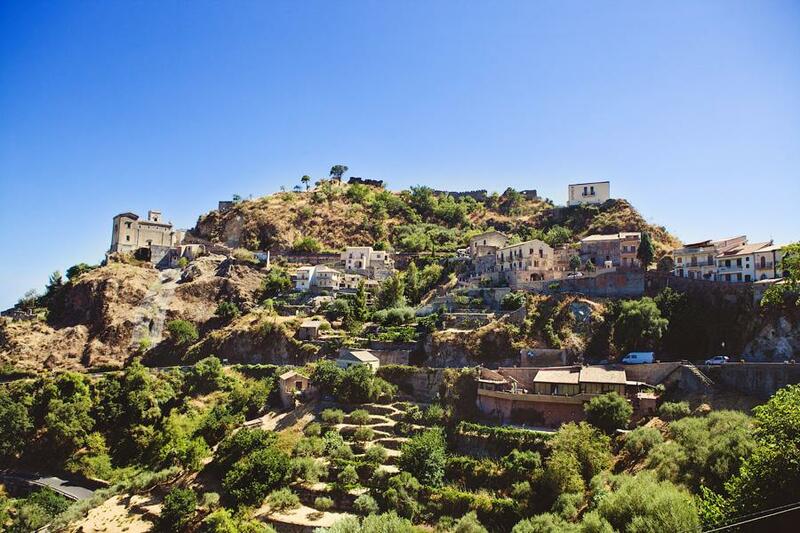 This beautiful village is known for the seventeen mummies preserved in the Capuchin Monstery and for being chosen as a set of some successful movies, like “the Godfather” of Francis Ford Coppola (1972). Here, in fact, have been shot some scenes of this movie with the young Michael Corleone, interpreted by Al Pacino, during his journey in Sicily. The “Vitelli Bar”, that was one of the sets of this movie, today is one of the most important touristic destination of this beautiful village and has become a museum, where is it possible to see many ancient objects.